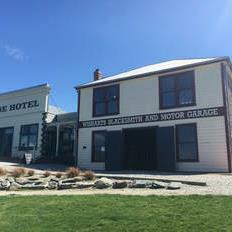 Welcome to Blaikie Recruitment, Central Otago's own boutique recruitment agency based in beautiful Old Cromwell, right beside the lake. ​Remember... "clocking off is not our culture" so we are here to help you!!! If you are mechanically minded we have a permanent role for you! ​Text Annabel 0272 416 619 today for more information. Welcome to Blaikie Recruitment, to be able to work for us, please call 0272 416 619 or follow the link below under the 'Big Fruit' picture to register. ​Please call us today for all your temporary or permanent recruitment needs. Are you looking for temporary work? Check out the new roles added daily, so please visit the 'Looking for Work' page, download our temp registration form and casual contract form, and list the specific job of interest in the subject line. If you have a working visa, please include that information as well as your passport details and don't forget to include your IRD number and bank account details. ​We have a variety of roles available right now! Call us on 0272 416 619 for more details.